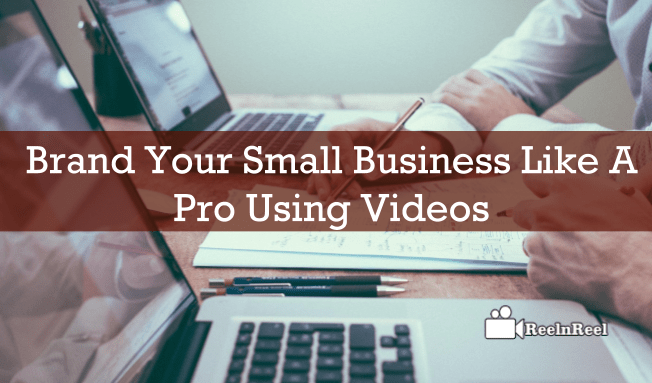 Home » Video Marketing » How to Brand Your Small Business Like a Pro Using Videos? If you are thinking about the competition small businesses face from SMEs and large brands out there, you might get discouraged to start a marketing campaign. There are, however, plenty of ways you can level the playing field and make your small brand appear stronger and larger than it is. In case you have been struggling with branding and raising your profile through video marketing, check out the below tips. If you want to look bigger than you are, you will need to invest in your logo and image design. Choose your brand colors and make sure that you are using them across your website, video channels, blog, your social media profile, as well as in your printed business literature. If you usually communicate with clients online, you might consider getting custom software documents templates you can use to make your brand more recognizable online. It is also important that you create a way of standing out from the competition and add a unique edge to your brand. Creating a unique selling proposition that is relevant to your company, your offers, and your products and services will be a good way of connecting with your target market on a personal and emotional level. Implement the USP in every video you create and make it the main message. It is also important that you define your brand message and communicate the same ideas through various channels. Use your mission, vision, and values statement as well as your USP to create a tagline or slogan you will build your messages around. Your audience will want to know exactly what you stand for before they would decide whether or not to buy from you. Of course, video marketing is also an effective branding tool. Thanks to the latest software, you will no longer have to pay for a studio and a professional company to get your branding videos out there. You can create explainer videos, short updates, or even behind-the-scenes content that will help you connect with your website visitors and online audience. Remember that your videos need to be entertaining, as well as informative if you would like to grab people’s attention. You might have heard about infographics before, but haven’t considered their use for small businesses. They are easy to create, thanks to the latest software releases, and very easy to share, too. You can create animated infographics, even video infographics that will explain to your target customer how you work and how what you offer benefits them. Instead of going for the standard templates of videos, spruce up your content creation and integrate this effective and fun branding tool in your marketing funnel. Being a small business has its challenges. If you would like to improve your reputation, raise your profile, and stand out from the competition, you will need to raise the bar for your branding. Put the above ideas to good use, and you will see your follower base and conversions skyrocket in just as short time.